Georgios I - Hidden Heritage was published November 14th, 2014. Georgios is a novel about a young man's search for his father, his identity, and his courage in the Roman, Greek & Celtic world of 100 A.D.
Ann has had articles published in the New Oxford Review and the Latin Mass. 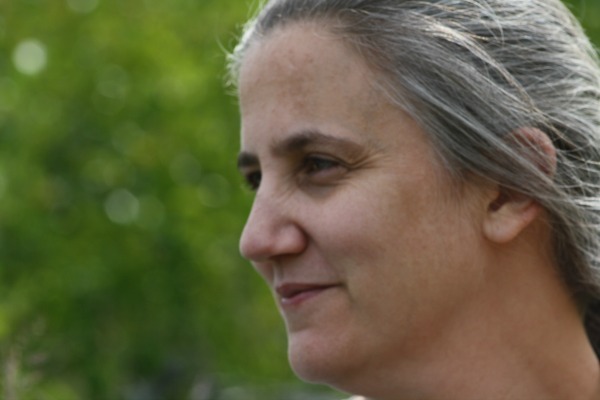 She won runner-up in fiction for ARAM in the 2011 Indie Publishing Contest. The Road Goes Ever On, ARAM, and Ishtar's Redemption have all won the Catholic Writer's Guild Seal of Approval. All of her books are available as e-books and paperbacks through AMAZON Books. Ann has a B. S. in Elementary Education. She was married to John Frailey who was also an educator for many years, but passed away in December 2013 due to cancer complications. She has eight children and she home educates them while maintaining a rural homestead. Ann devotes her time to writing books that align Christian thought with the lived adventure of becoming who we are called to be. She loves her various roles as mother, educator, and author and enjoys spending her time with her family and friends in rural Illinois. Ann's future fictional works will reflect on the journey-quest of humanity from our ancient past into the not so distant future. Her next book, Georgios II, is due out in the Spring of 2015. Visit her website www.akfrailey.com for her newest blog, updates on her writings, book signings, and public speaking events. 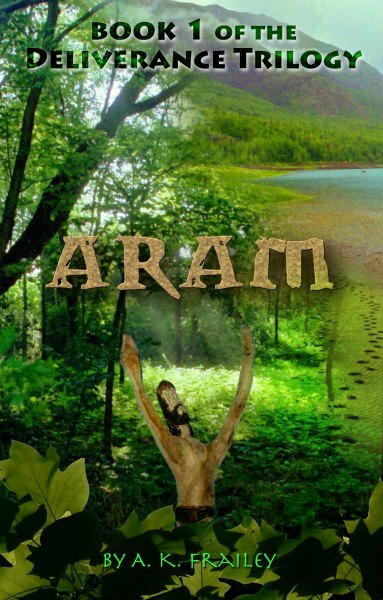 Aram is a man who wants to start his life over but he must deal with his haunting past, a lost wife and son and a discontented clan. He must accept the choice he has made in a new wife and face a mysterious beast which pursues him through a dangerous terrain. While keeping his people safe against all odds he encounters a new land beside a beautiful lake and there he finds his first real sense of security and joy. Unexpectedly, he finds that he is in the midst of a battleground where an innocent clan is about to be annihilated and he must decide if he and his people will become involved. In the greatest battle of his life he must face his haunting past, turn a young pagan from his father's evil ways, and forge a new hope for future generations. Ishtar is exiled, wandering alone over rocky hills up into imposing mountains and down through a winding pass into a new land as dry and barren as he feels. A gentle patriarch named Matalah helps him to face his greatest tormentor so that he can return home reconciled to his friends and rescue his sons before it is too late. Barak, Obed and Eoban leave the safety of their own homes to go on an uncertain quest to find Ishtar only to encounter a strange stone city filled with mystery and danger. New friendships are forged and old friendships are strained to the breaking point as faithfulness and endurance is tested to the limits. Can these friends overcome their mistakes, refuse alluring temptations, accept unacceptable loss and still become reconciled to both themselves and each other? Find out in the newest Deliverance Trilogy adventure of Ishtar’s Redemption. Ishtar’s Redemption is a gripping story of exile and reconciliation. From lush grasslands to barren deserts Ishtar encounters evil from within and without. Can a man cursed by his own father leave his torments behind and help a kindly desert nomad who is being persecuted by his own sons? Learn how Ishtar and his friends face their past, their future and their own personal mistakes as they forge a new destiny embracing a hope that lives beyond their present sight. 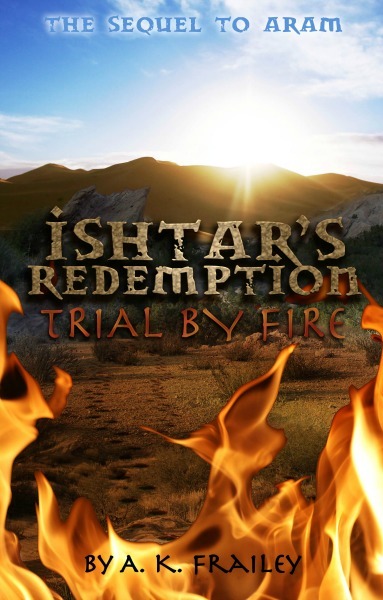 Ishtar’s Redemption is an adventure from start to finish in a world of shadow and light. 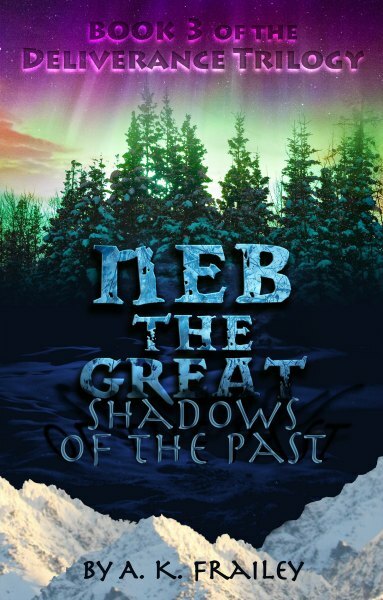 Neb the Great was raised to conquer and conquer he did until he met a woman who challenged his heart and enslaved him in a way he never thought possible. From their union is born two sons, one who would change the course of history by becoming the father of a new generation which would lead to the birth of Aram, while the other would descend into further corruption by embracing his grandfather’s name and his gods. Tolkien's story, The Lord of the Rings, touches the soul in a profound way. Why is that? What makes the heroes so attractive? Can we ever become like them? The power to be strong and valiant is not limited to Middle-earth. We have been given the same tools and gifts that they are offered if we but recognize them. The rings of power in our society tempt us and our children as well. We would be wise if we awakened to that which tries our souls. 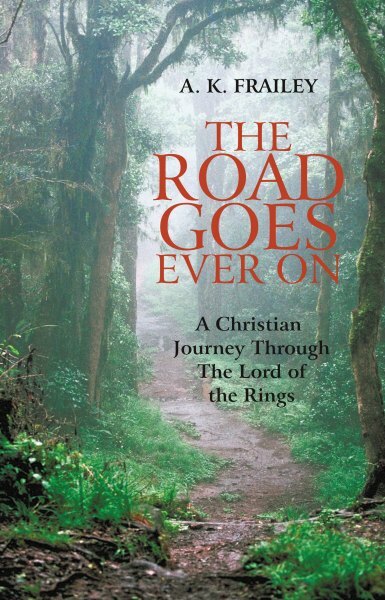 Take a look at this classic from a Christian perspective, and you might bring Middle-earth a little bit closer to home. Georgios was destined for greatness - at least that is what his grandparents told him, his father assured him, and his mother had left embedded in his heart. Living on the island of Patmos in the year 100 A.D. surrounded by the Aegean Sea, he knew the world through Greek eyes, but he also knew there was more to life than a home built on rock. At the age of thirteen, Georgios takes an unexpected voyage, almost murders his first real friend, gets waylaid by Celtic traders, and inadvertently discovers the truth about his father. What he learns horrifies him, forcing him into a decision and an adulthood, he is not ready for. In facing his father honestly, Georgios finds the strength to accept his grandfather’s vision and is thrust into the most dangerous adventure of all.